There’s been some stuff on our minds recently. You see, much as we love cars, we don’t pretend your whole life revolves around a Vauxhall. No, a car shouldn’t be a thing to worship. To us, a car should be a great tool for living. That’s why we only build them for one pretty good reason. You. So we create cars not simply to drive, but for something far more important. To live better. New Astra is no exception. In fact, it proves our rule. It reinvents classic Astra to make it more useful, smart and downright fun to own than ever before. Here it is – New Astra. Now in its seventh generation, it’s a bold reboot of our iconic, British-made hatchback, still proudly built in the UK. It’s now lighter in weight, roomier inside and more compact than ever, and brings together clever engineering with premium design, powered by a new range of ultra-efficient engines. On the road, New Astra is a seriously addictive drive, because it’s shaped around your life – and living it. So why not see what you make of it? We designed New Astra to show off its new edge, lightweight build and drop a few hints at all the clever technology inside too. Those flowing lines and sculpted body, along with the rising curve of its floating roof all come together to give it serious presence, whichever way you look at it. It’s all made to bring out its solid yet sporty character, for a drive as pleasing as it is awesome to look at. Sit inside and take a look around. Every interior for New Astra is made using high quality materials that go beyond what you might expect. And we’re launching New Astra with five exciting trim levels to suit all kinds of life, whether it’s family, work or play. But whichever trim you choose, you’ll find first-rate design and build matched by standard equipment that’s far from standard. A hatchback with a twist, the Vauxhall Astra combines a graceful, athletic body with the high-power performance of a larger vehicle. With plenty of space inside and a treasure trove of innovative technology, it is a great family car, perfect for navigating the city. Headlights, cleverly integrated with the front grille and bumper, give the Astra a sporty edge, and its broad shoulder lines and wide stance hint at agile handling and superb durability. The roomy cabin features soft-touch materials and plush upholstery, whilst in-built air conditioning allows you to recline into your seat and enjoy the tranquil atmosphere. A potential loadspace volume of 1,216 litres lets you store the whole family’s luggage with room to spare. Smart LED daytime running lights, sharp lines and streamlined curves – the New Astra design has plenty of bright ideas to catch the eye. The ergonomically-designed AGR* place to be indeed. approved sports-style front seats feature an adjustable front cushion, seat tilt and power lumbar adjustment. And on Elite models you can even upgrade to include front seat ventilation and a massage facility for some serious pampering while you’re on the move. We think you’ll love the bigger sense of space and all the creature comforts inside the New Astra. Seat ergonomics and plenty of adjustable settings help you find that perfect driving position (however long your journeys), and you can upgrade to AGR ergonomic sports-style front seats if you like. Premium features and connectivity add the finishing touches to the Astra Sports Tourer’s sleek, sporty handling. The Astra Sports Tourer has a streamlined look, with a sporty profile and muscular real wheel arch contours. Robust and roomy. Business or pleasure. If you're a regular driver or make longer journeys, meet your perfect car. The sleek lines of the Sports Tourer belies its generous rear space. Made for easy loading, the luggage area has a nice flat floor (with a storage space underneath) and a practical rectangular shaped footprint, with up to 1,630 litres of space with the rear seats folded down. Clubs for Friday's golf. Family luggage. Whatever. Pile it in. For more flexible loading, our Astra Sports Tourer Elite also have 40/20/40 foldable rear seats. Arms full of shopping? No problem. Our optional keyless entry system means you can open your boot with a small kicking motion under the rear bumper. No hands. Our super smart optional LED headlight system automatically adjusts your high beam to dip around other vehicles for a wider, perfectly lit view ahead for safer night driving. With our front camera system, your journeys become safer and easier. Featuring traffic sign recognition, lane departure warning, following distance indicator and forward collision alert. You drive a lot. So give your back a little TLC with our optional Power Driver's Seat in leather, with massage and ventilation. You'll also love our multi adjustable, ergonomic front seat. It has a quality seal from AGR, the people you approve products that are extra friendly to backs. Nice touch. While you wait for the sun, savour your heated front seat. And the heated outer back seats. Oh, and your heated steering wheel. You're in a traffic jam on a hill. The traffic moves. And as you pull away, your push button brake releases automatically. No more rolling backwards next time you head up Steep Hill Road. You can choose from a great range of petrol and diesel engines. Whether you need fuel efficiency or a powerful turbo engine, you'll find an engine that makes you smile. You can choose from 5 or 6 speed manual transmissions - super smoother and precise, or 6 speed automatic transmission - highly efficient. Want more performance? The Sport switch in all SRi models sharpens your throttle response. It also changes the steering feel for a more dynamic ride. Our petrol and diesel engines are more efficient in every way. They deliver smooth, ample power in combination with Sports Tourer's lightweight body for an agile and responsive drive. Don't sit in silence. Switch on to a world of infotainment.  IntelliLink is compatible with Apple CarPlay and Android Auto. It has a 7 inch colour touchscreen and projects your favourite apps to the screen. Keeping you connected.